CHURCH UNITY OCTAVE WEEK EDITION for January 20-26 (jan2013b.htm) for the site DailyCatholic, a Traditional Catholic publication dedicated to perpetuating the One True Faith and preserving the Traditional Latin Mass in this time of the Great Apostasy by upholding the sedevacantist syllogism in order to Save All Necessary Catholic Traditions in the United States (SANCTUS) and preserve the Truths and Traditions of the Church founded by Jesus Christ upon the Rock of Peter. 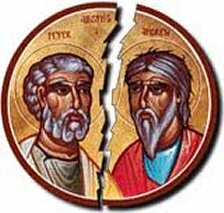 There are still some who are under the impression that the Week for Christian Unity, which lasts from the Double Major Feast of St. Peter's Chair at Rome on January 18th until the Double Major Feast of the Conversion of St. Paul on January 25th, is a concoction of the Vatican II church. Au contraire, for it had been in vogue prior to Vatican II for true oecumenism - conversion, if you will and the antiphon prayer below illustrates this because it definitely does not call for dialogue but rather conversion to the True Faith by those outside the Faith. 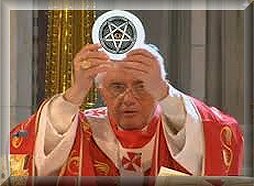 And, as we all know from the thrice-proclaimed dogma Extra Ecclesiam Nulla Salus, Outside the Church there is No Salvation! 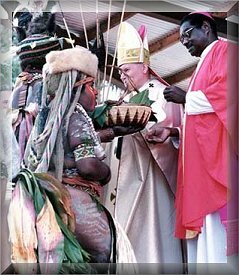 These eight days of solemn prayer for Unity possess a doctrinal significance which is of critical importance. 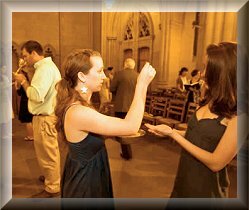 As Catholics know, one of the chief essential "Marks" (or visible qualities) of the Church established by Christ is that Unity for which He prayed at the Last Supper. 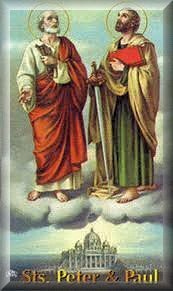 As Jesus asked "that they may be one...", His prayer was immediately granted by the Eternal Father, as it was the request (on the very eve of His death) of His Only Begotten Son, to Whom nothing is refused. Therefore, His Church has now, and will always have, that Unity (or oneness) of teaching, worship, and government which is so evidently a sign of truth, "the same yesterday, today, and the same forever." 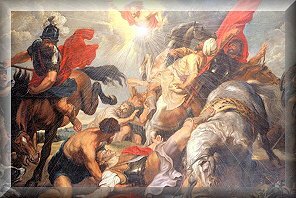 It was for this reason that Christ established Peter as "the Rock", or Foundation of His Church, against which the Gates of Hell could never prevail. Let us pray. O Lord Jesus Christ, Who saidst unto Thine Apostles: Peace I leave with you, My peace I give unto you; regard not our sins, but the faith of Thy Church, and vouchsafe to grant unto Her that peace and unity which are agreeable to Thy Will. Who livest and reignest God forever and ever. Amen. 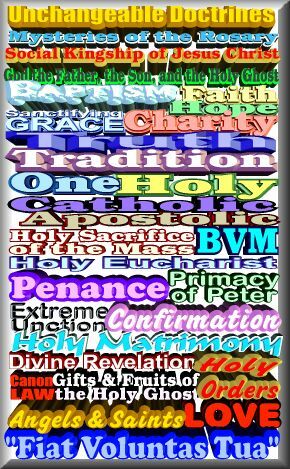 An indulgence of 300 days during the octave of prayers for the unity of the Church, from the Feast of the Chair of St. Peter in Rome to the feast of the Conversion of St. Paul. A Plenary Indulgence on the usual conditions at the end of the devout exercise. 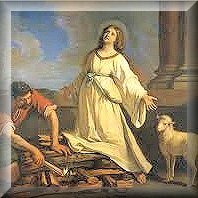 January 20 2ND SUNDAY AFTER EPIPHANY "Omnis terra"
January 21 St. Agnes "Me expectaverunt"
January 22 Sts. 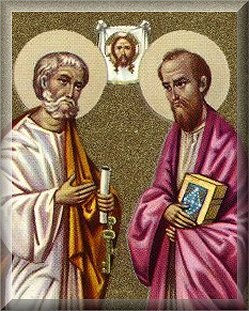 Vincent & Anastasius, Martyrs "Intret"
January 23 St. Raymond of Penafort, Confessor "Os justi"
January 24 St. Timothy, Bishop & Martyr "Statuit ei Dominus"
January 25 Conversion of St. Paul "Scio cui credidi"
January 26 St. Polycarp, BM "Sacerdotes Dei"
In the Gospel for the Second Sunday After Epiphany it gives us a figure of the transubstantiation, which St. Thomas calls the greatest of all miracles, and by reason of which the Eucharistic wine becomes the blood of the testament. 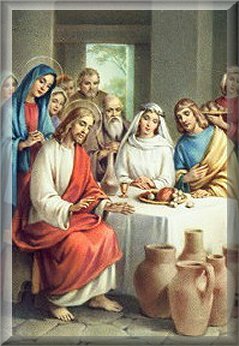 And as it is the Eucharist which enables Jesus to consummate, as Bossuet has it, His mystical marriage with our souls, the Fathers have seen in the wedding feast of Cana a symbol of the union of the Word with the Church. 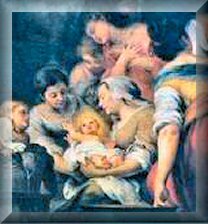 Blessed Mary, full of the charity of which the Epistle speaks, asks of Jesus His first miracle on behalf of the bridegroom and bride who are in trouble because "they have no wine" for their guests (Gospel). 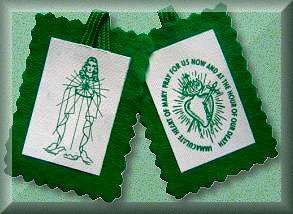 How appropriate that commiserating the devastating Roe vs. Wade decision falls during a string of eight consecutive days commemorating holy martyrs of the Church from Friday's feast of St. Peter through this Saturday's feast of St. Polycarp with the actual date of the 'Supreme' Court's ruling being the feast of the holy martyrs Sts. Vincent and Anastasius today. 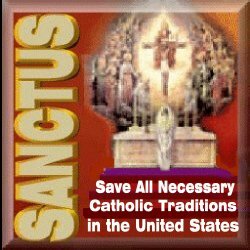 The point being that, though the Church does not recognize unborn babies as baptized, we can hope they will fall into the same category as the Holy Innocents who were also not baptized by water but by Baptism of Blood, something the Church has always taught. 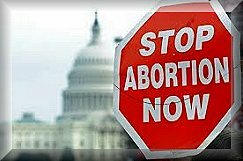 This year, with all the puffed-up outrage over the killing of twenty-some children at Sandy Hook School in Newtown, we can see the utter hypocrisy of pro-abortionists trying to make a case for saving the children. It's all a smoke-screen to kill more by not only banning guns but by banning free speech and silencing those who speak out against the sins that cry to Heaven for vengeance. We must speak for the silent ones and do so from the rooftops as the authors below have done. WARNING: Abortion is Definitely HAZARDOUS to your salvation! 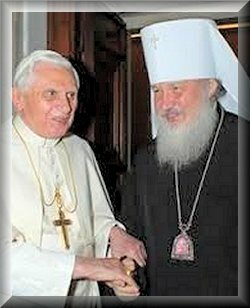 This week we observe Church Unity Octave that all may be one. 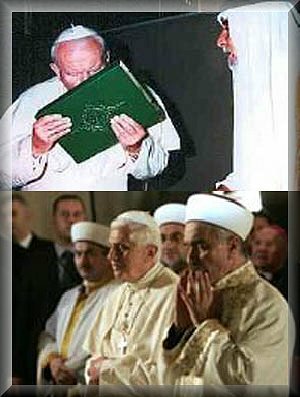 This doesn't mean a One World Religion in the sense that everyone compromise to get along, but rather bringing souls into the true fold which, by Christ's Own admission is the narrow path, but one that alone leads to Heaven. Thus this week is a reminder of what we are all called to do: Convert non-Catholics (yes, those in the Vatican II church, too) to the true Faith Christ established and commanded us to go into the world and do just that from the Apostles on: Preach the Gospel. But to preach it we must live it, otherwise our efforts will fall upon loose soil and be washed away into the sea of obscurity. 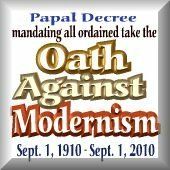 That is why we must be anchored to the Rock of Peter as passed down from Our Lord's time through His Holiness Pope Pius XII. After that, well, what was that about the sea of obscurity? 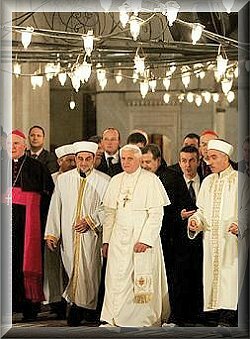 Lex orandi, lex credendi is often bandied about, but Traditional Catholics realize it very much is true. That is why if one does not live their Faith uncompromisingly, they will not believe it and they will sink beneath the surface, drowing in denial. The question arises about the remnant Church. Where is someone to lead and set the example that will move millions to realize the lie and repent? 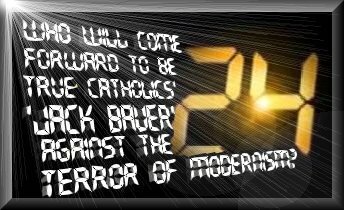 To do so, God needs more spiritual Jack Bauer's to spark the Counter Conciliar Unit and defuse the time bombs the robber barons have set over the past 45 years that have annihilated so many souls. 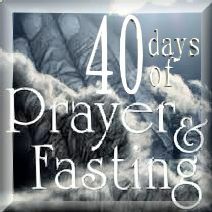 While we celebrate 24 years of publishing, we need to remind all that we need to use the 24 hours in a day for there are not enough hours left before we will all have to stand before the divine Judge to account for our stewardship. What kind of a performance report will we be able to provide Him. Can we save the day? That depends on how much you care. As for us, the clock is ticking. We're ready to lock, load, and fire! 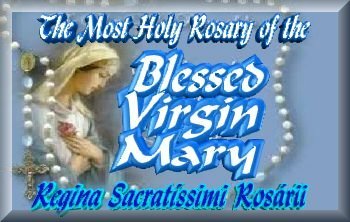 Hail Mary Most Holy, Temple and Sacrarium of the Most Holy Trinity. 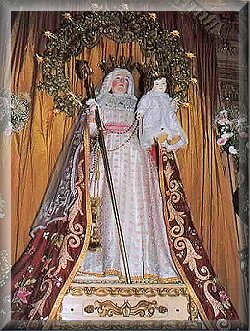 Our Lady of Good Success, thou who art the all-powerful intercessor before the Most Holy Trinity, deign to hear and answer my request, so long as it contributes to the salvation of my soul and the glory and exaltation of Holy Mother Church. 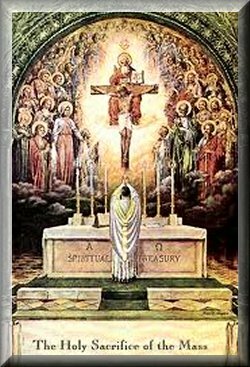 Keeping the above in mind, we leave the eight-day period of prayers for the Chair of Unity Octave intentions behind while beginning a nine-day Novena leading up to the traditional feast of Our Lady of Good Success which coincides with Candlemass and the Feast of the Purification. 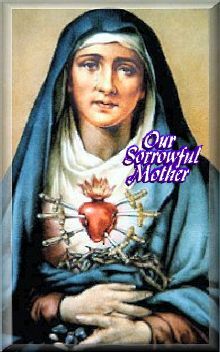 This year we celebrate the 402nd Anniversary of the Blessed Mother's messages and visits to a humble Conceptionist nun in Mother Mariana de Jesus Torres. True to the prophesies imparted to her, these messages would be forgotten and little known until the time they pertained to which are our times, folks. 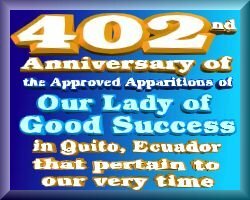 We encourage you to purchase the fascinating books Dr. Marian Therese Horvat has compiled on Our Lady of Good Success, the messages and messenger of Quito, Ecuador and see that Our Lady foretold all that is unfolding today. 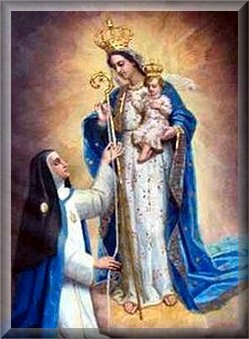 In light of that, we encourage all to devote the next nine days to praying the Novena to Our Lady of Good Success either the Long Version of the Novena with an Imprimatur each day or the shorter Nine-Day Short Novena. 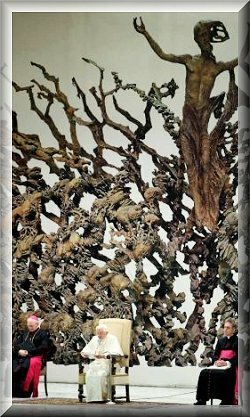 Tomorrow we begin the penitential season with the Time of Septuagesima when we focus on penance and mortification in preparation for Lent two and a half weeks later when Catholics are urged to emulate Our Lord's example of 40 days in the desert that leads to His Passion and Death on Good Friday before His Resurrection on Easter Sunday. 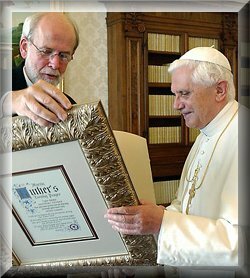 Thus, Father Benedict Hughes, CMRI chooses to focus on one thing no man can avoid: Death as he wrote in volume 95 of Reign of Mary. 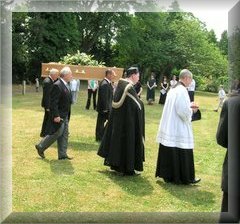 We should not put off plans for what will become of us or our loved ones off, but face that reality and plan accordingly by securing burial plots for true Catholics must realize, outside of a disaster or plague, cremation is wrong. 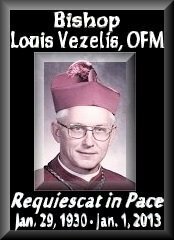 Burial is and has always been the sole means of disposing of one's body and so Father takes us through the history of this practice and how cremation has crept back in and been accepted by the false church that started with Vatican II. 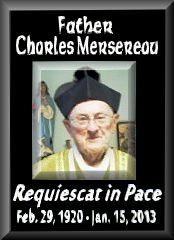 Traditional Catholics must know that to even consider having one's body incinerated is a grave error and do all in their power to make funeral plans in advance, beginning with being buried in a Catholic cemetery if possible, and if that is not possible in today's age when there are so few true Catholic churches and cemeteries left, then at least a true priest to bless the grave and conduct a Requiem for the deceased. 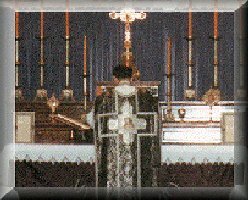 Though the body will decay in the ground, unless one is so holy that it will remain incorrupt as it has for several saints, burial is the best way from preserving it from being defiled for we are promised in the Apostles' Creed our bodies will be resurrected. It would be a shame if were burnt to a crisp and unrecognizable even to God! Father explains in Cremation? Not for Catholics! 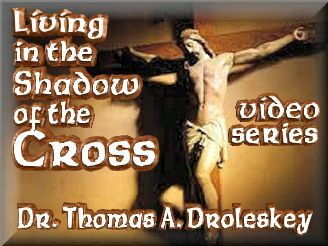 To also help you be prepared and to tune up your disciple talents, we heartily encourage Dr. Thomas A. Droleskey's thorough YouTube video series Living in the Shadow of the Cross that we list here for it is important to watch them in the proper order as Tom so entertainingly lays out a practical blueprint for Traditional Catholics to follow, which will also, we hope and pray, help others to receive the grace to flee false churches and return to the True Faith before it's too late. To the right are the the latest update of his lectures. Part Seventeen Those who subscribed to the subtle subitus of "subsistet"
Yes, we are back publishing a weekly edition until our Annual Lenten Edition. 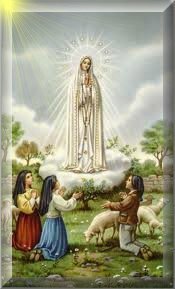 So at times we will comment on twitter topics of interest to Traditional Catholics. Stay in touch throughout the day by following us on Twitter where we'll keep you up to date with everything pertinent to the true Faith. 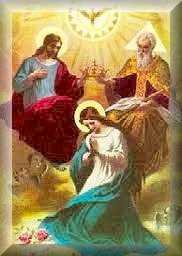 O Most Holy Trinity, I addore Thee! My God, my God, I love Thee in the Most Blessed Sacrament!